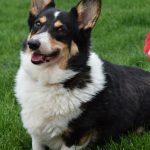 Update: There is now a Facebook group for owners of pets with cancer who have done T-cell infusion, are in the process of it, or who are considering it and want more information. You can request to join that group here: Canine T Cell Infusion Information and Support. Updated February 15, 2017 and October 25, 2017. Ty’s journey with lymphoma has entered a new very hopeful stage! We have gotten Ty enrolled in the Canine T-Cell Project, which is a grant and donation funded program to bring groundbreaking immunotherapy to dogs with B-cell lymphoma. I am going to use this post to document our steps through the process. I might write side posts as well, but this one is meant to show the steps taken to getting the treatment and to document the outcome. So, I will be updating this post as Ty goes through the process. Without getting too complicated, T-Cell infusion is an newly available immunotherapy procedure that consists of collecting blood from a dog diagnosed with B-cell lymphoma either early in their treatment with chemotherapy once they have achieved remission, or when they are in remission after chemo. This blood is then sent to a lab where T cells are harvested, modified to target cancer cells, and then multiplied. Those new cells are then sent back to the dog’s local veterinarian or oncologist and are infused. They then go to work targeting cancer cells and can continue to live in the body doing so for quite a long time. For those outside of the Bellingham area (near Seattle), a local veterinarian can perform the blood draws and infusions with the material being sent between the locations via overnight express mail. 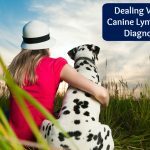 To take part, a dog must have B-cell lymphoma (unfortunately it does not work with T-cell lymphoma) and ideally be in full remission when the blood is drawn and T cells harvested. The treatment has evidence of some great results. Based on an initial study out of Texas A&M involving 8 dogs, all of whom had an extended remission beyond the control group and dogs have been reported outside of the study write up to have remained alive for up to 5 years (See the initial study write up, which mentions the follow up). T-cell infusion also has reportedly recently created molecular remission in a chemotherapy resistant dog. Although please see my updates for more recent information on outcomes. Dr. Edmund Sullivan, DVM, in Bellingham, Washington. is the primary veterinarian behind the project. 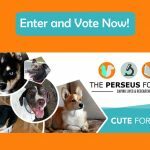 He is located at Bellingham Veterinary and Critical Care in Bellingham, WA .The project was initially funded through the Canine T-Cell Project, a project funded by the nonprofit Perseus Foundation. My current understanding is that it is now a stand alone treatment. There is also now related study though K State for newly diagnosed dogs. You can learn more on that here. Ultimately, this is a cutting edge treatment that has great potential for long lasting remissions, perhaps even permanent ones. 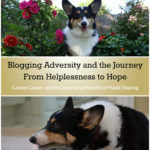 Although much is yet to be known, and as I cover in my updates, perhaps only for dogs in a solid post chemo remission. See a slideshow about canine T-Cell infusion with info from how it related to older work based on bone marrow transplantation here. You can also learn more about T-Cell infusion in humans here, and here. Just as it is new and hopeful in dogs, it is the same in humans. Sometimes you have to dig and work for what you want…. Early in the process, I learned that, when it comes to trying to get a new or novel treatment, being a rather noisy and persistent advocate and researcher for your dog may be required. 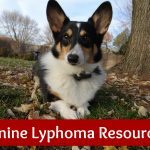 I first learned about T-Cell infusion in May 2016 from a Facebook Group for owners of dogs with lymphoma (see the resources page for links to such groups). I did some inquiring about price and success rates among various groups and soon got in touch with Dr. Sullivan and the Perseus Foundation. After a nearly 30 minute phone call with Dr. Sullivan, who was extremely helpful and informative, I decided to pursue the treatment. That involved a couple of key steps of getting a local vet on board to handle the procedures here in the Chicago area and making sure that Ty was a good candidate. That presented various hurdles. I initially thought that getting local support would be quick and easy. That turned out to not be the case. I approached Ty’s oncologist about the project through a phone message and email, which were returned by an oncology tech. The tech indicated to me that my oncologist was not specifically opposed to the project, but wanted to see the written protocol. That began a multi-week series of phone calls and emails in which I tried to get that achieved and alternately tried to get my oncologist to directly call about the process. Given that these are all obviously very busy people, each little bit of information exchange could take a day or longer. I began to get frustrated with my inability to get my oncologist to simply call Dr. Sullivan so, when I had an appointment with our regular vet for my other dog, Eve, I asked her if they would be interested in doing the procedures. Fortunately, my own vet was more than happy to take part. Things then began to move. My vet called Dr. Sullivan and my oncologist. It turned out that my oncologist had reservations, not about the therapy, but about her ability to carry through on her end as she was about to go on maternity leave. So she preferred that my regular vet to the procedures. That was fine with me, as my regular vet was much more interested in the project, very communicative, and also quite a bit cheaper than having the procedures done at the specialty vet. So, now things were moving! That same day we had blood taken and sent to Bellingham for baseline testing to be sure that Ty was really in remission. But then came another wait. At the time, I was not aware that it can take 7-10 days to get those baseline test results. So, it was back to the routine of checking in and essentially pestering people for results. It is fortunate that Dr. Sullivan himself told me to be a “squeaky wheel,” so I felt a bit better about checking in regularly and, indeed, when I called him directly after 10 days, he had the results that there was no tumor clone in Ty’s blood or aspirate, and we got the information needed to start the process. The first step after getting qualified was a three-day course of a broad spectrum antibiotic. On day 4 blood was drawn to send overnight to Bellingham. Ty had his blood drawn and sent June 7, 2016. He had a bit of hair shaved from his neck and about 20ml of blood was drawn from two locations there. The blood was cultured for a bit over 24 hours to make sure it could properly grow the T cells. Then Ty took a dose of Cytoxan (aka Cyclophosphamide), a chemotherapy drug, which is used to kill regulatory T cells that can interfere with the new T cells in the infusion. Ty’s T cells were ready in 12 days. The norm is usually 13-14, so his grew quickly! Once finished, the cells are then sent back overnight express for infusion. After that, they try to grow more for a second infusion 4-7 days later. Some dogs are also able to get a third infusion, although not many. 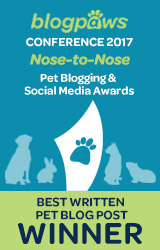 As it turned out, Ty’s first infusion fell right smack in the middle of the Blog Paws Conference, which my husband and I were planning to attend, especially since I was nominated for a Nose to Nose Award for best blog post for my post When Your Dog Has Lymphoma. Interesting timing with that! On Tuesday, June 21, 2016, I got up and eagerly awaited the overnight priority shipment of Ty’s cells to the FedEx location near the vet clinic. I kept close watch on the tracking and headed for the facility when the cells were on the truck to go there. They arrived about 10 minutes before I did. This was a rather emotional pickup for me. I honestly fought back tears as I carried this little box of precious cargo back to my car, thinking about how I was essentially holding Ty’s life in my hands. Everything went smoothly at the vet and, a little over an hour later, Ty and I were headed back home. I then left for the airport to go to blogpaws. My husband canceled his trip and took Ty for his second infusion that Friday. Everything again went smoothly. Doctor Sullivan told up to be on the lookout for mild flu-like symptoms for 24 hours or so, which some dogs experience. But we did not see any issues with Ty other than that he was thirsty when he got home. My understanding of that is that the symptoms are caused by the initial by products of dying cancer cells. So, a dog not in remission might have more of those types of symptoms than a dog like Ty, who was already in molecular remission. Now, all we can do is monitor and hope that Ty stays in remission indefinitely. Ty goes for follow up testing in two weeks and then a intervals of every couple of months for awhile after that. One of the first questions I had about the project was how much it cost. At the time Ty took part, the T-Cell project was donation and grant funded. The cost to the project for each dog was roughly $3000-$5000, which is the cost of materials only. As a result, I made a large personal donation of $3000 to the project and then raised more through running a 24 hour race to help more dogs get the therapy. I ultimately raised another $6,000. The project has now moved into a paid treatment stage. It has now been over 8 months from Ty’s T-cell infusion. He remains in complete remission (20-21 months now) and has well passed the average remission time for a dog with B-cell lymphoma who has done CHOP chemotherapy (average is one year). Is that from the t-cells, supplements he took, or just luck? No way to know for sure. After some difficulty in reaching him, and communication has been an ongoing problem with the project, on February 15, 2017, I spoke at length with Dr. Sullivan about the project. It was a good discussion, and we discussed current treatment involving cancer vaccines and combinations of those with T-cell infusion, which I plan to write about in a separate post. I also received clarification about the previous dogs who were reported to have sustained remission times of over 5 years from T-cell therapy. Those dogs were part of an unpublished study that was done following the initial Texas A&M study. Unlike the first study, the dogs were better conditioned for infusion through means such as a dose of cytoxan or bone marrow transplantation, and some alterations were done to the makeup of the expanded cells. There were 10 dogs, 7 had a good responses, remaining alive for over 2 years or passing from other causes. Dr. Sullivan believes that 5 of those dogs are still alive. The data was never published after a series of events in which people behind the study moved on to other projects and and data was not preserved. Thus, the reports of it are anecdotal. As for the current group. Dr. Sullivan stressed, and I agree, that it is just now starting to hit a time period in which results can become relevant. The T-cell project was started in February of 2016. 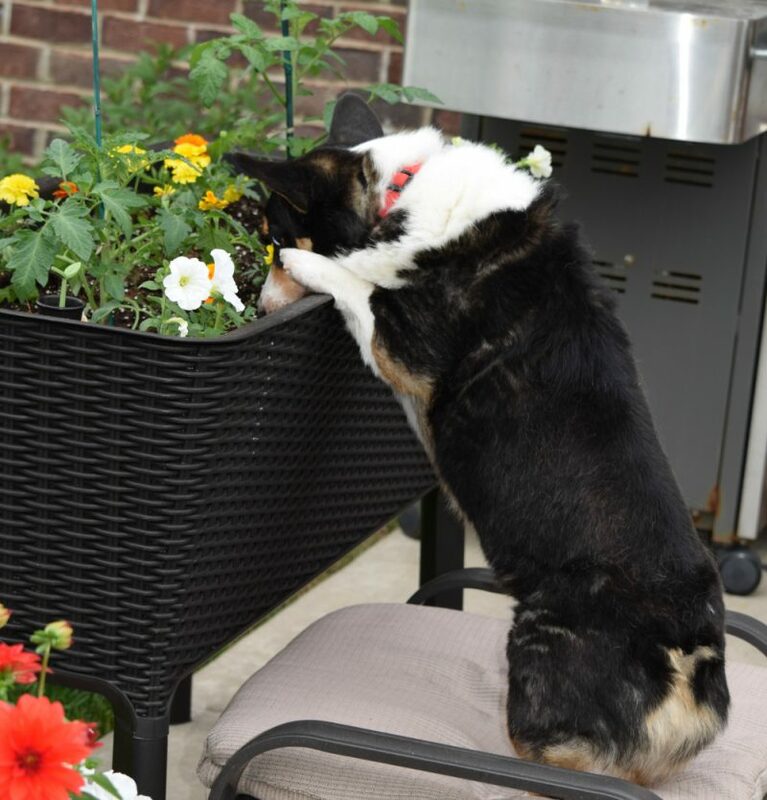 Since the average lifespan of a dog who has undergone chemo is around one year, that becomes the earliest date that data begins to be helpful, as the oncology community looks to the lifespan from date of diagnosis to the date of death or complication. Ideally two years is the most helpful point. Dr. Sullivan acknowledged what I already know from a Facebook group, that a number of the dogs in the project (indeed, I believe a majority) have relapsed or died. Of interest is that, of the project dogs, only Ty was believed to be in molecular remission without previously failing a chemo protocol at the time of his infusion. All other dogs were in some form of advanced disease, although at least one was perhaps in clinical remission or had only very low amounts of tumor clone detected through PCR testing. Meanwhile, one dog who was not remission and had rather advanced disease had a dramatic response to T-cell infusions after limited chemotherapy, entered remission, and remained in remission for 8 months. While I don’t have reason to believe that is typical for a dog not in remission at the time of infusion, I find it rather notable. Dr. Sullivan stressed that the overall question is whether the therapy results in a longer survival over the use of chemo alone, not whether there was a cure. The initial O’Connor study and followup treatments suggest yes. In the oncology world, at this time, only bone marrow transplant provides a known cure at 40 or 50% depending on the type performed. Dr. Sullivan and others suspect a possible cure in an unknown percentage of dogs that undergo T-cell therapy who are in molecular remission following chemotherapy and have adequate conditioning (such as what was done in the dogs after the initial O’Connor study). Ty meets those qualifications . Unfortunately, I think a large number of other dogs I know that have done T-cell therapy, both as part of the project and after it moved into treatment phase, did not meet that, and it is then not surprising that many have relapsed. Whether they saw extended life from the T cells, however, is yet to be seen. Hopefully as the data is gathered as those dogs reach one year post-infusion, we will start to get a better idea. Ultimately, coming form the position of a pet parent instead of a researcher, when looking a the matter based on the initial Texas A&M study and the dogs that were infused after it, T-cell infusion appears to have a trend of being effective for dogs who are infused while in full molecular remission after conditioning of the system through chemotherapy or bone marrow transplantation. There is some good reasoning for why this would be the case from Dr. Chretin at VCA West Los Angeles who authored this well written paper on the topic (note: this is a Word document download). When asked if I recommend T-cell therapy it is only for those dogs that I tend to feel comfortable recommending it. 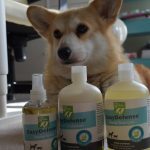 Could it extend life for a dog that has failed chemo? Perhaps. At least there is anecdotal evidence of that happening with at least one dog. 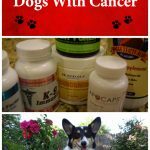 I have also know of a number of dogs who gained varying remission times after receiving T cells, but they were not necessarily very long or longer than I have seen dogs get from rescue chemo protocols. 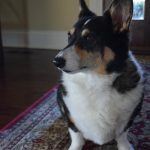 Thus, for a dog not in remission facing a choice of expensive t-cell therapy over a more affordable rescue chemo protocol, the cost and any known factors about the potential new remission time has to be taken into account. Likewise, the effect of treatment on the dog matters. If a dog does not tolerate chemo well, perhaps trying T-cell therapy would be more desirable even with the amount we still do not know about its effectiveness in dogs who were not in remission when infused. Obviously, that is a very subjective decision for the owner. In my case, if Ty were to come out of remission, based on his success with CHOP, I would redo CHOP and then perhaps look at redoing T-cell therapy following it. I would probably try to pair that up with one of the cancer vaccines that are starting to be studied and become available. That is because Ty handled CHOP well and had a successful remission from it before he ever received T-cell therapy. There are also a number of university run studies popping up involving T-cell therapy. For owners who cannot afford it or who are interested in it, these might be a viable option. I will be writing a new post on some of these studies and emerging trends as well. 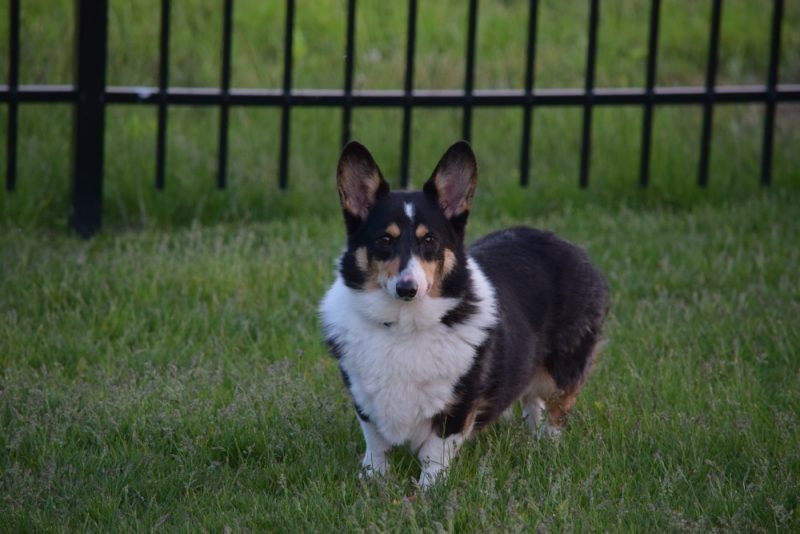 Meanwhile, for those in the Midwest, Dr. Lisa Fulton, a veterinary oncologist in Ohio, has informed me that, she has the ability to do autologous T cell infusion and that she feels it is best for dogs that are in remission. She also does bone marrow transplantation. Dr. Sullivan is on the West coast in Bellingham Washington. Washington. I am not aware of anyone on the east coast performing the therapy, although University of Pennsylvania is doing a CAR-T study that involves genetically modified T cells and Kansas State is also doing a study. Ty remains in remission and is at 28 months total now. I recently spoke with a researcher who worked on the initial T-cell study in Texas who is also planning to start offering t-cell infusion in Texas. Although as of yet, the services do not appear to be offered. This is the website. I plan to post about that interview once the services seem to be actually offered. 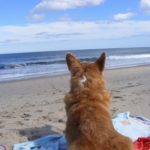 April 2018 Update: Ty is still doing great! Read the other articles in the canine lymphoma series. Follow Ty’s progress on his Facebook Page. My thoughts are with you on this journey. What a heartfelt and hopeful piece! I hope it all turns out well. It sounds like it’s going to be a journey, good luck! It seems like a great cause to donate to as well. What an interesting procedure! 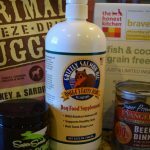 I knew nothing about this – it is amazing that some of these advanced techniques are making their way into the veterinary world. Good luck to all of you! I’d never heard about the procedure before. I hope all goes well and the dates line up so they’re not inconvenient! And yes, we definitely need to be a squeaky wheel to advocate for our dogs! Wow, I hope this is successful. I think it is awesome that so many people are willing to volunteer their time and skills to help with this treatment! I hope things go well for Ty and all the other dogs who are affected by lymphoma. Special thoughts as you go through this journey. There is so much research to be done for animals and cancer. Happy you are given this opportunity. It is so great to see you have such amazing veterinary support and access to these innovative processes to help Ty feel better. I have a special needs dog and it gets so expensive but the vets we have at our disposal and support we get, it is all worth it given our pup gets such great care AND gets better. Good luck and keep being positive, in no time Ty will be doing amazing! It’s gret you have something to act on. We lost Sooty to Lymphoma so any research that can combat this evil disease is a good thing for us! * sigh * and we can’t spell either… We apologise guys! I’m so glad they have cutting edge technology for animals now. We were going through cancer treatments with laser radiation with one of our cats and so far things are looking good. It did return, but a second treatment and a feeding tube have him healing up nicely. It’s hard because animals can’t tell us how they are feeling….so I totally understand some of the helpless feeling. Sending lots of fur-hugs! Hope to see you in Phoenix! WOW I am learning so much from you about lymphoma. I am sorry you all are going through this but you are fighters and that is what counts. Keep us posted – what an amazing treatment plan! This was fascinating reading! The science behind this is amazing to me, but good grief! What an exercise of hurry up and wait!! I agree with you that at times you really do have to be persistent to get what you need! My paws are crossed for Ty, and I’m really going to look forward to reading about his progress! (I’m more than just a little sad that I won’t be attending BlogPaws this year)! How fascinating – sounds so positive. I am very glad Ty is in remission and you got into the trial and that there is a Perseus Foundation to fund it. Hope to see you at BlogPaw on the red carpet and that all goes well. I learned so much from this post. Thanks for sharing your journey!! What an interesting post. Purrs for Ty and his journey. Good luck with your fund raising. I am so sorry you and Ty are having to go through this and I am sending big virtual hugs to you both! Thank you for sharing your story and for shedding some light on this new and innovative treatment. Wishing you and Ty all the best for a full recovery! Wow! That’s an impressive medical treatment option. I’m so glad that you are able to participate in the grant funded program. I hope that the treatments are effective in your fight against cancer. I’m so sorry to hear you’re having to deal with this diagnosis. Sending well wishes your way! I am so happy to have found your blog! This post especially helps to consolidate so much of the information on T-cell therapy that is floating around. We are doing CHOP now, just started our second round, and have decided against BMT due to the isolation and NC State claims just 33% success but plan to pursue T-cell therapy if we can get into what seems to be a good molecular remission and I’ve been a bit overwhelmed trying to put the pieces together! I’m glad we could be of help! !